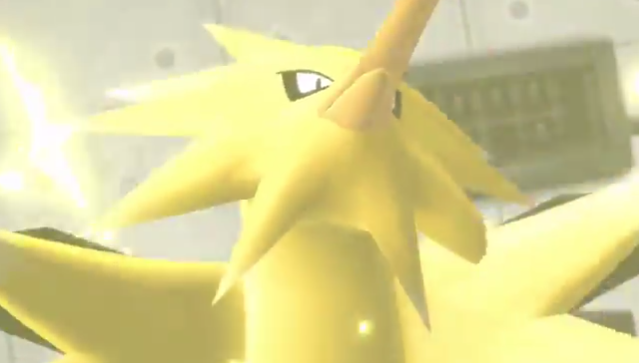 Much like the other two Pokemon apart of the Legendary Bird Trio, Zapdos can be found at any point during the Main Storyline (or Post Game should you so wish to wait until then). Zapdos can be found deep within the Power Plant, which can be reached by surfing the waters on Route 10. Like other Legendary Pokemon Encounters found within the game, Zapdos must first be defeated in battle before you will be allowed to capture it. In battle, Zapdos will be at Level 50 and will have all of its Stats boosted at the beginning of said bout, knowing the moves of Drill Peck, Thunderbolt, Agility and Light Screen. After capturing Zapdos in the Power Plant, there is a chance that it will appear as a Special Spawn on certain routes found across the Kanto Region. Need help Catching Zapdos? Check out our How To Easily Catch Zapdos Page!